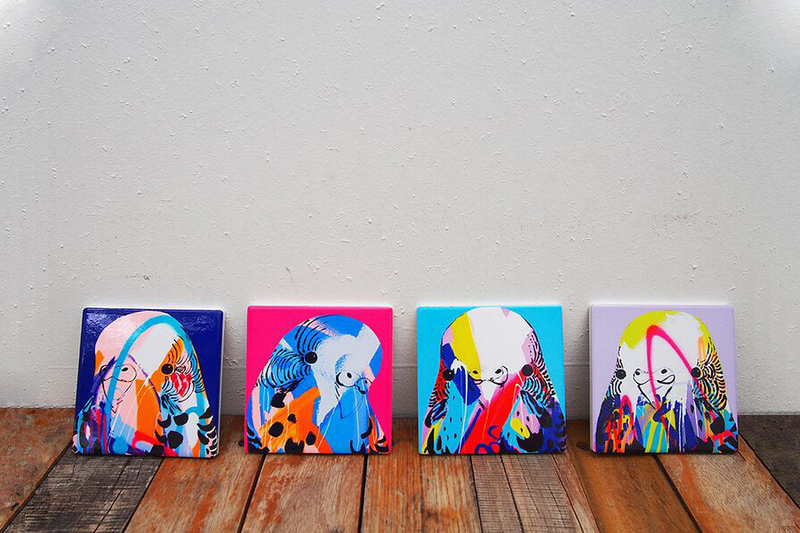 As you may well know, we are huge fans of Anya Brock‘s bold and bright paintings. 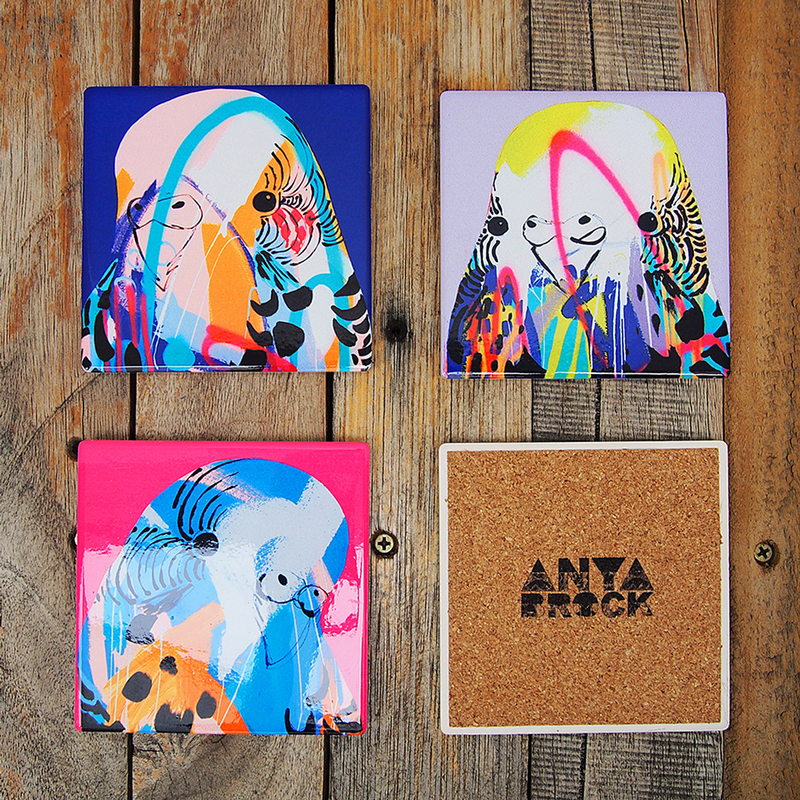 So you can imagine our delight when we discovered her ‘pocked-sized’ artworks, or as they are more commonly called, coasters! Featuring a full colour, gloss ceramic upper and quality cork underside, you can rest easy knowing you’re not only projecting your furniture, but you’re injecting a little fun into your home at the same time. 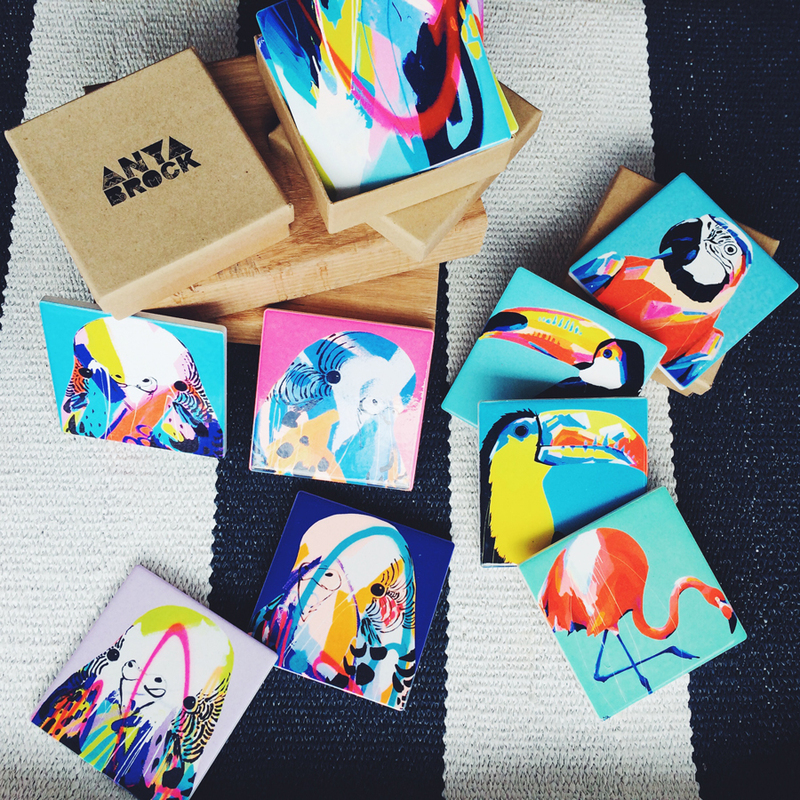 You can find Anya Brock‘s painting and homewares at our Melbourne SS15 Market (it’s only a few days away, did you know?). For those in Brisbane, Anya will also be having a stall at our Brisbane SS15 Market too!